For the past four decades, a growing cult of soul music collectors have sought two obscure LPs and a handful of extremely rare 45s released on the vanity record label LAD Productions, Inc. between the late seventies and the mid eighties by the mysterious South Side Chicago singer/song writer Larry Dixon. 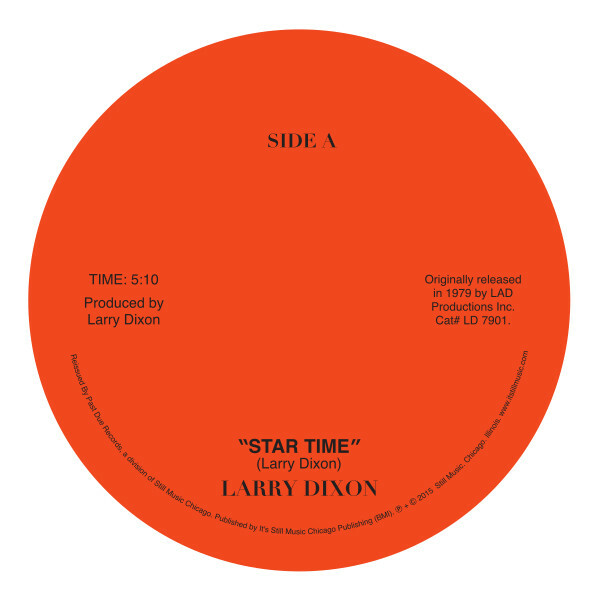 Larry's raw songs capture the transition from R&B to boogie-down as disco was rapidly becoming extinct. They also perfectly illustrate Larry’s ability to overcome his environment and discrimination, transcended by his determination to write and produce music. With the support of his faithful musicians, Larry's success was only hindered by lack of airplay and promotion, but his talent shines through. This is the story of Larry Dixon, his label LAD Productions, Inc., and his friends and family throughout four decades of music in Chicago’s toughest neighborhoods. Jerome Derradji is proud to reactivate Past Due Records - the boogie funk division of Still Music to release this fantastic archive – what many consider to be the Holy Grail - of Chicago Funk, Boogie and Soul.